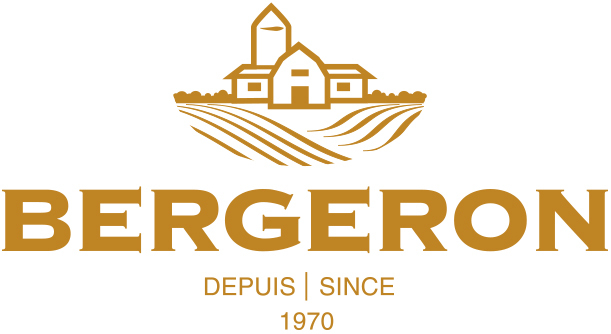 Bergeron Farms has specialized in growing potatoes since 1970. The company has since acquired the trust of large grocery store chains such as IGA and Sobeys, as well as that of consumers. 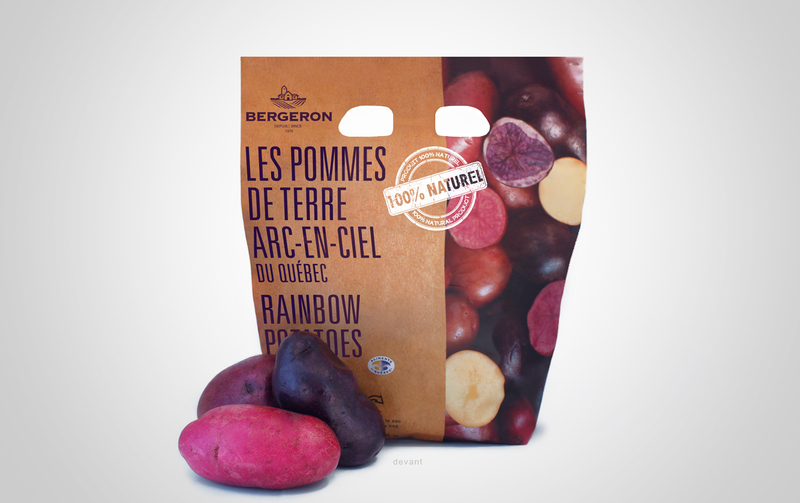 Objective: Bergeron Farms wanted to launch a new line of potatoes and was looking for a turnkey concept, from market analysis to final packaging design, including creating a name for the new line. H2O communication created sleek packaging with a natural feel to reflect the product so it would really stand out at point of sale. We also added a small window that allows consumers to see the product they are buying. 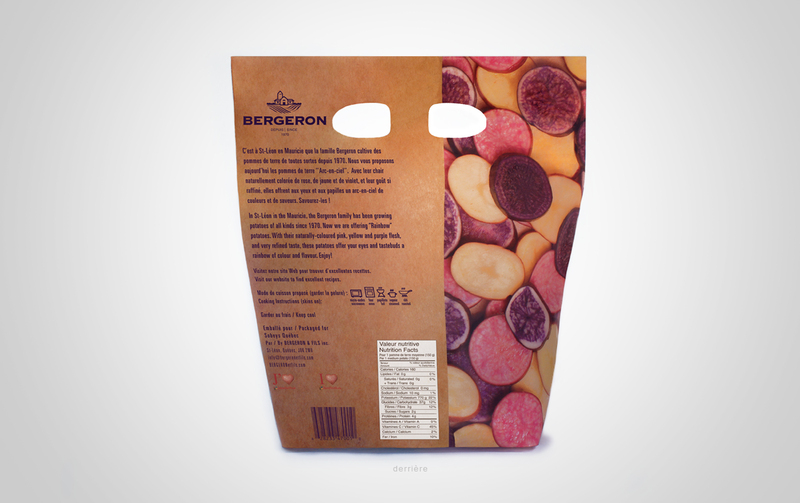 Located on the back of the bag, it doesn’t let light in and thus better protects the product, which will remain fresher longer. 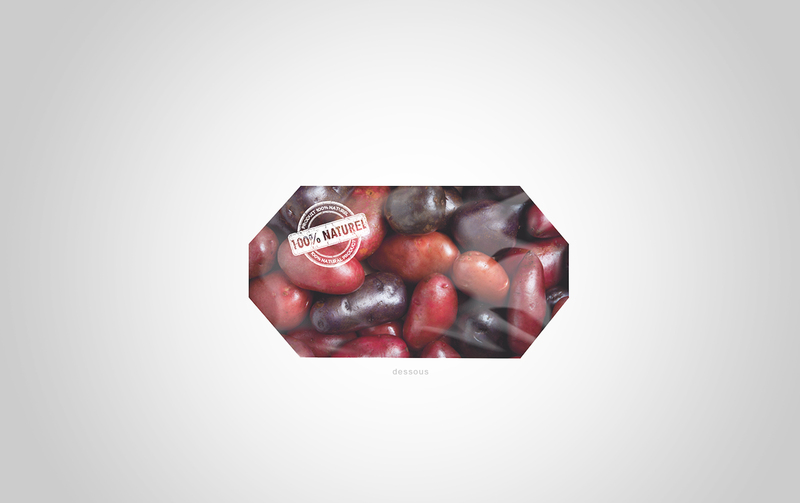 Overall, the package design is the product image: natural and colourful! Results: The new packaging has created quite an impact in stores, and thanks to this unique visibility, the company’s products differ completely from those of other brands. The packaging also gives credibility to this very recent product. The company tells us that their sales have already increased.